Enacted in 1906, the Antiquities Act is one of the most important pieces of conservation legislation in American history and has had a far-reaching influence on the preservation of our nation’s cultural and natural heritage. Thanks to the foresight of thirteen presidents, parks as diverse as Acadia, Grand Canyon, and Olympic National Park, along with historic and archaeological sites such as Thomas Edison’s Laboratory and the Gila Cliff Dwellings, have been preserved for posterity. 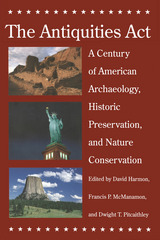 A century after its passage, this book presents a definitive assessment of the Antiquities Act and its legacy, addressing the importance and breadth of the act—as well as the controversy it has engendered. 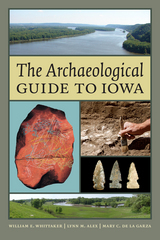 Authored by professionals intimately involved with safeguarding the nation’s archaeological, historic, and natural heritage, it describes the applications of the act and assesses its place in our country’s future. 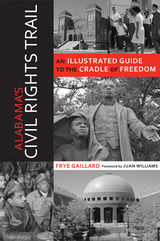 With a scope as far-reaching as the resources the act embraces, this book offers an unparalleled opportunity for today’s stewards to reflect on the act’s historic accomplishments, to remind fellow professionals and the general public of its continuing importance, and to look ahead to its continuing implementation in the twenty-first century. The Antiquities Act invites all who love America’s natural and cultural treasures not only to learn about the act’s rich legacy but also to envision its next hundred years. The expansionist Japanese empire annexed the inhabited archipelago of Palau in 1914. The airbase built on Peleliu Island became a target for attack by the United States in World War II. The Battle over Peleliu: Islander, Japanese, and American Memories of War offers an ethnographic study of how Palau and Peleliu were transformed by warring great powers and further explores how their conflict is remembered differently by the three peoples who shared that experience. 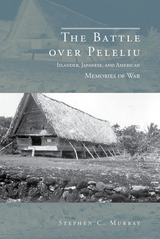 Author Stephen C. Murray uses oral histories from Peleliu’s elders to reconstruct the island’s prewar way of life, offering a fascinating explanation of the role of land and place in island culture. To Palauans, history is conceived geographically, not chronologically. Land and landmarks are both the substance of history and the mnemonic triggers that recall the past. Murray then offers a detailed account of the 1944 US invasion against entrenched Japanese forces on Peleliu, a seventy-four-day campaign that razed villages, farms, ancestral cemeteries, beaches, and forests, and with them, many of the key nodes of memory and identity. The Battle over Peleliu is a study of public memory, and the ways three peoples swept up in conflict struggle to create a common understanding of the tragedy they share. The shift from mobile hunting and gathering to more sedentary, usually agricultural, lifeways was one of the most significant milestones in the prehistory of humanity. This transformation was spurred by an alignment of social and ecological forces, pressures, and adaptations, and it took place in broadly comparable ways in many prehistoric settings. 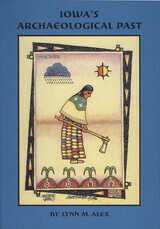 Based on a Society for American Archaeology symposium and subsequent Amerind Advanced Seminar in 2006, Becoming Villagers examines this transformation at various places and times across the globe by focusing not on the origins of agriculture and village life but rather on their consequences. The goal of the volume is to identify regularities in the ways that societies developed in the centuries and millennia following a transition to village life. Using cases that range from China to Bolivia and from the Near East to the American Southwest, leading archaeologists situate their specific areas of specialization in a broad comparative context. They consider the forces acting to divide and fragment early villages and the social technologies and practices by which those obstacles were, in some cases, overcome. 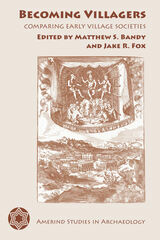 Finally, the volume examines the long-term historical trajectories of these early village societies. 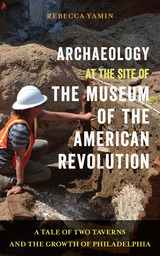 This transformative collection makes a powerful case for a renewed and invigorated archaeological focus on large-scale comparative studies. It will be an essential read for anyone interested not only in early village societies but also in the ways in which archaeology relates to anthropology, other social sciences, and history. 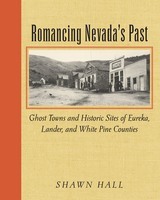 Shawn Hall's immensely popular guidebooks to Nevada ghost towns have become essential resources for backcountry explorers and scholars alike. 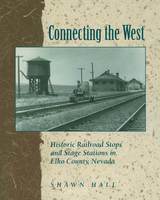 Now Hall returns to Elko County to survey the county's railroad and stage stations, as well as other sites not included in his earlier survey of this colorful section of the state. 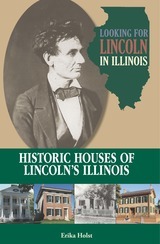 As in his earlier volumes, Hall includes a history of each site he lists, along with period and contemporary photographs, directions for locating the sites, and an assessment of their present condition. 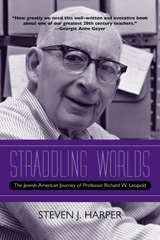 His historical accounts, based on a wide range of primary and secondary sources, are both scholarly and engaging, rich in anecdotes and personalities, and in the fascinating minutia of history often ignored by more academic writers. Shawn Hall's dedication to documenting Nevada's thousands of historic sites has enriched our knowledge of the state's relatively brief but very eventful past. Connecting the West is a worthy addition to Hall's remarkable efforts to preserve the state's history. 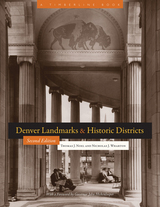 Denver Landmarks and Historic Districts, Second Edition is the newest, most thorough guide to Denver’s 51 historic districts and more than 331 individually landmarked properties. This lavishly illustrated volume celebrates Denver’s oldest banks, churches, clubs, hotels, libraries, schools, restaurants, mansions, and show homes. Denver is unusually fortunate to retain much of its significant architectural heritage. The Denver Landmark Preservation Commission (1967), Historic Denver, Inc. (1970), Colorado Preservation, Inc. (1984), and History Colorado (1879) have all worked to identify and preserve Denver buildings notable for architectural, geographical, or historical significance. Since the 1970s, Denver has designated more landmarks than any other US city of comparable size. Many of these landmarks, both well-known and obscure, are open to the public. These landmarks and districts have helped make Denver one of the healthiest and most attractive core cities in the United States, transforming what was once Skid Row into the Lower Downtown Historic District of million-dollar lofts and $7 craft beers. Entries include the Daniels & Fisher Tower, the Brown Palace Hotel, Red Rocks Outdoor Amphitheatre, Elitch Theatre, Fire Station No. 7, the Richthofen Castle, the Washington Park Boathouse and Pavilion, and the Capitol Hill, Five Points, and Highlands historic districts. Denver Landmarks and Historic Districts highlights the many officially designated buildings and neighborhoods of note. This crisply written guide serves as a great starting point for rubbernecking around Denver, whether by motor vehicle, by bicycle, or afoot. When people think of archaeology, they commonly think of unearthing the remains of ancient civilizations in Egypt, Greece, Rome, Central or South America. But some fascinating history can be found in your own New Jersey backyard ¾ if you know where to look. Richard Veit takes readers on a well-organized guided tour through four hundred years of Garden State development as seen through archaeology in Digging New Jerseys Past. 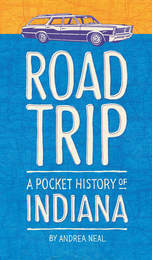 This illustrated guidebook takes readers to some of the states most interesting discoveries and tells us what has been learned or is being learned from them. The diverse array of archaeological sites, drawn from all parts of the state, includes a seventeenth-century Dutch trading post, the site of the Battle of Monmouth, the gravemarkers of freed slaves, and a 1920s railroad roundhouse, among others. Veit begins by explaining what archaeologists do: How do they know where to dig? What sites are likely to yield important information? How do archaeologists excavate a site? How are artifacts cataloged, stored, and interpreted? He then moves through the states history, from the contact of first peoples and explorers, to colonial homesteads, Revolutionary War battlefields, cemeteries, railroads, and factories. Veit concludes with some thoughts about the future of archaeological research in New Jersey and with suggestions on ways that interested individuals can become involved in the field. From Harriet Beecher Stowe's image of the Mississippi's "bosom" to Henry David Thoreau's Cape Cod as "the bared and bended arm of Massachusetts," the American environment has been represented in terms of the human body. Exploring such instances of embodiment, Cecelia Tichi exposes the historically varied and often contrary geomorphic expression of a national paradigm. Drift down the Colorado River through Glen Canyon and explore the people and places that encompass the history of this majestic canyon before it drowned in the rising waters of Lake Powell. Author Gregory Crampton led the historical investigations of Glen and San Juan Canyons from 1957 to 1963 under contract with the National Park Service. The objective was to locate and record historical sites that would be lost to the rising waters of the reservoir. This book records that effort. First published in 1986, this edition has been revised to include several new “ghosts” of Glen Canyon, including a never-before-published foreword by Edward Abbey. 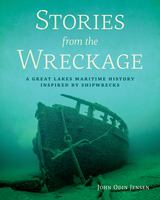 It also showcases stunning color photographs by Philip Hyde and includes hundreds of black-and-white photographs taken by the original salvage crews. This informative guide to the historic treasures of Glen Canyon includes numbered maps keyed to each location. It is a book for both the armchair traveler and the lake enthusiast eager for a journey through the past to a place few had the privilege to know. Hit the road with journalist Mark DiIonno as he takes you on a tour of New Jersey’s extraordinary Revolutionary War history. Listing more than 350 historic sites throughout the state, DiIonno has compiled the most complete guide ever to the Revolutionary War in the Garden State. New Jersey’s role in the Revolutionary War is widely overlooked. Every school kid learns about the Boston Tea Party but not the Greenwich tea burning; and about the miserable winter at Valley Forge but not Jockey Hollow. Schools fund class trips to Philadelphia’s Independence Hall but not Princeton’s Nassau Hall. 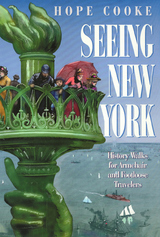 To find history in New Jersey, all you need is DiIonno’s book as your guide. His easy-to-read volume helps readers explore the cities and the countryside from Bergen to Cape May County to find out exactly what happened there during the Revolutionary War. While previously published books center on the highlights — Fort Lee and Washington’s retreat across the state, victories at Trenton and Princeton, the brutal winter encampment at Jockey Hollow and the Battle of Monmouth — DiIonno fills in the blanks. Battlefields, churches, homes of the famous and infamous, cemeteries, parks, taverns, liberty poles, bridges, creeks, hills, museums, encampment sites, lighthouses, historical societies, walking trails, monuments, plaques—if it played a part in or commemorates the Revolutionary War in New Jersey, DiIonno tells you what happened there, the personalities involved, and how to see it for yourself. The sites are conveniently cataloged by county, with a helpful summary of the area’s war history beginning each chapter. Each entry lists the town and directions to each site, and where appropriate, a complete address, telephone numbers, and hours of operation. Both public and private sites are described, and DiIonno advises readers of which private sites tours can be arranged. The History of the Central Brooks Range uses rare primary sources in order to provide a chronological examination and history of the Koyukuk region—including anthropological descriptions of the Native groups that make the Central Brooks Range and its surroundings their home. The history of early exploration, mining, and the Klondike all overflow into the story of the Koyukuk region and its rich cultural heritage, and William E. Brown provides a fascinating history of the extraordinary ways of survival employed by pioneers in this rugged northern land. 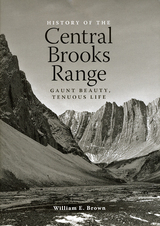 Supplemented with detailed descriptions by Robert Marshall, The History of the Central Brooks Range is further enhanced by over 150 beautiful full-color illustrations—from early exploration to the creation of the Gates of the Arctic National Park—making this an essential volume for anyone interested in Alaska Native studies. New Jersey has a varied and fascinating history-from its earliest Native American settlements, through its central role in the Revolutionary War, to its strategic position in the major events of our country's past. 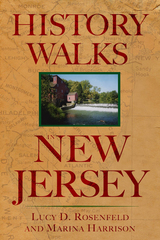 In History Walks in New Jersey, Lucy D. Rosenfeld and Marina Harrison treat readers to a comprehensive statewide guidebook that includes detailed information on forty-eight of the best sites for historical walks. These outings take the history enthusiast through beautiful green landscapes, natural preserves, and picturesque settlements. Whether you are an amateur historian, a weekend walker, or a teacher planning a class trip, this book will be an essential resource for ideas and information. Walks include the Kingston Loop, a long canal where George Washington, pen in hand, composed his post-Revolutionary War speech, "Farewell Orders to the Armies of the United States." Also included is a mountain walk that traces Native American Leni-Lenape history and one that wends its way into an old Moravian village in the town of Hope. A pirate cove, stops on the Underground Railroad, a Civil War cemetery, and the sites of duels, mines, canals, architectural innovations, estates and resorts, centuries-old agricultural and fishing settlements, and the Hindenburg crash are all here. Each walk includes directions, information on tours, a brief history, and suggestions for additional places to visit in the area. Whether a New Jersey native or a visitor to the Garden State, readers will enjoy going beyond the highways and suburban towns to learn about history while discovering the state's natural beauty. 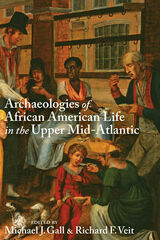 Presents a variety of archaeological case studies on daily life in a wide range of locations and circumstances. 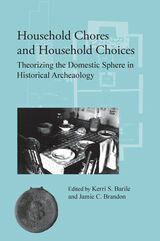 Because archaeology seeks to understand past societies, the concepts of "home," "house," and "household" are important. Yet they can be the most elusive of ideas. Are they the space occupied by a nuclear family or by an extended one? Is it a built structure or the sum of its contents? Is it a shelter against the elements, a gendered space, or an ephemeral place tied to emotion? We somehow believe that the household is a basic unit of culture but have failed to develop a theory for understanding the diversity of households in the historic (and prehistoric) periods. 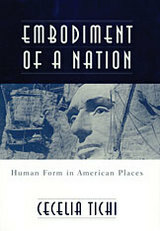 In an effort to clarify these questions, this volume examines a broad range of households—a Spanish colonial rancho along the Rio Grande, Andrew Jackson's Hermitage in Tennessee, plantations in South Carolina and the Bahamas, a Colorado coal camp, a frontier Arkansas farm, a Freedman's Town eventually swallowed by Dallas, and plantations across the South—to define and theorize domestic space. The essays devolve from many disciplines, but all approach households from an archaeological perspective, looking at landscape analysis, excavations, reanalyzed collections, or archival records. Together, the essays present a body of knowledge that takes the identification, analysis, and interpretation of households far beyond current conceptions. The book contains chapters devoted to the larger preserved sites open to the public, such as Sloss Furnaces National Historic Landmark and TannehillIronworksHistoricalState Park. It also highlights lesser-known, yet still accessible, sites such as BloctonCokeOvensPark. The work provides easy-to-follow maps for every site as well as driving directions to the more remote locations, giving visitors easy access to all the notable iron and steel sites in Jefferson, Shelby, Tuscaloosa, and Bibb counties. Each chapter also includes a variety of historical information, with accompanying photographs, in order to present the reader with a detailed and comprehensive account of the Birmingham Iron and Steel District. Deep in the heart of southern New Jersey lies an area of some 96,000 acres of sprawling wilderness. It is the famous Wharton Tract which the state of New Jersey purchased in 1954 for a watershed, game preserve, and park. Many people know and love these wooded acres. Each year, people by the thousands visit Batsto Village, once the center of the iron industry that thrived on the tract more than a century ago. With warmth and accuracy, Arthur D. Pierce tells the story of the years when iron was king, and around it rose a rustic feudal economy. There were glass factories, paper mills, cotton mills, and brickmaking establishments. Here, too, were men who made those years exciting: Benedict Arnold and his first step toward treason; Chrales Read, who dreamed of an empire and died in exile; Revolutionary heroes and heroines, privateers, and rogues. 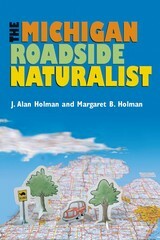 The author's vivid pictures of day-to-day life in the old iron communities are based upon careful research. 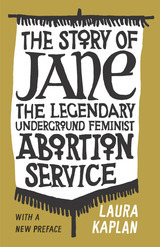 This book proves that the human drama of documented history belies any notion that fiction is stranger than truth. In May 1804 Meriwether Lewis, William Clark, and the Corps of Discovery embarked on a seven-thousand-mile journey with instructions from President Thomas Jefferson to ascend the Missouri River to its source and continue on to the Pacific. They had spent five months in the St. Louis area preparing for the expedition that began with a six-hundred-mile, ten-week crossing of the future state of Missouri. Prior to this, the explorers had already seen about two hundred miles of Missouri landscape as they traveled up the Mississippi River to St. Louis in the autumn of 1803. Lewis and Clark in Missouri focuses on the Missouri chapter of their epic journey, a portion of the story that has been slighted in other accounts. 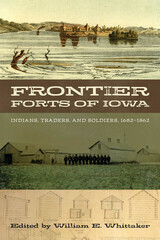 Ann Rogers uses the journals kept by members of the Corps along with many other primary source materials, providing a firsthand perspective on the people, plants, wildlife, rivers, and landscapes the explorers encountered. 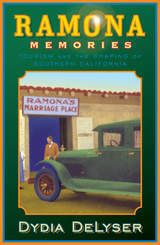 Beautiful color photographs and illustrations complement the text and support the passages Rogers quotes from the journals. Brief biographies of Lewis, Clark, Sacagawea, John Colter, York, and other members of the expedition tell of their years in Missouri after the journey ended. Today’s followers of the Lewis and Clark Trail can find descriptions of sites to visit in Missouri, Kansas, and Illinois. Carefully researched, yet highly readable, Lewis and Clark in Missouri will be of great interest not only to Missourians, but also to anyone wishing to learn more about the Corps of Discovery’s historic journey. How do some monuments become so socially powerful that people seek to destroy them? After ignoring monuments for years, why must we now commemorate public trauma, but not triumph, with a monument? To explore these and other questions, Robert S. Nelson and Margaret Olin assembled essays from leading scholars about how monuments have functioned throughout the world and how globalization has challenged Western notions of the "monument." 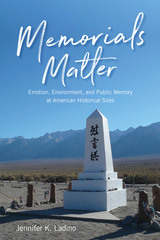 Examining how monuments preserve memory, these essays demonstrate how phenomena as diverse as ancient drum towers in China and ritual whale-killings in the Pacific Northwest serve to represent and negotiate time. 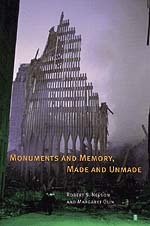 Connecting that history to the present with an epilogue on the World Trade Center, Monuments and Memory, Made and Unmade is pertinent not only for art historians but for anyone interested in the turbulent history of monuments—a history that is still very much with us today. From the earliest memorials used by Native Americans to the elaborate structures of the present day, Richard Veit and Mark Nonestied use grave markers to take an off-beat look at New Jersey’s history that is both fascinating and unique. 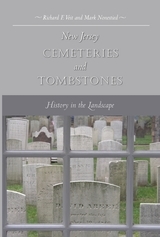 New Jersey Cemeteries and Tombstones presents a culturally diverse account of New Jersey’s historic burial places from High Point to Cape May and from the banks of the Delaware to the ocean-washed Shore, to explain what cemeteries tell us about people and the communities in which they lived. The evidence ranges from somber seventeenth-century decorations such as hourglasses and skulls that denoted the brevity of colonial life, to modern times where memorials, such as a life-size granite Mercedes Benz, reflect the materialism of the new millennium. Also considered are contemporary novelties such as pet cemeteries and what they reveal about today’s culture. To tell their story the authors visited more than 1,000 burial grounds and interviewed numerous monument dealers and cemetarians. This richly illustrated book is essential reading for history buffs and indeed anyone who has ever wandered inquisitively through their local cemeteries. 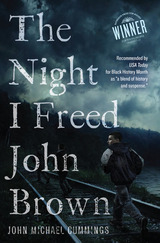 Recommended by USA Today for Black History Month as "a blend of history and suspense." In this novel for young adults, Josh knows there is something about the tall Victorian House on the Harpers Ferry Hill, the one his father grew up in, that he can’t quite put his finger on. And his impossible father won’t give him any clues. He’s hiding something. And then there’s the famous John Brown. The one who all the tourists come to hear about. The one whose statue looms over Josh’s house. Why does he seem to haunt Josh and his whole family? When the fancy Richmonds come to town and move right next door, their presence forces Josh to find the answers and stand up to the secrets of the House, to his father—and to John Brown, too. The historic village of Harpers Ferry comes alive in this young boy’s brave search for answers and a place of his own in this brilliant first novel by John Michael Cummings. As a source of colonial wealth and a crucible for global culture, Jamaica has had a profound impact on the formation of the modern world system. From the island's economic and military importance to the colonial empires it has hosted and the multitude of ways in which diverse people from varied parts of the world have coexisted in and reacted against systems of inequality, Jamaica has long been a major focus of archaeological studies of the colonial period. 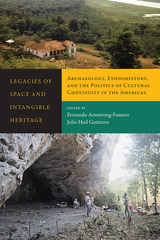 This volume assembles for the first time the results of nearly three decades of historical archaeology in Jamaica. Scholars present research on maritime and terrestrial archaeological sites, addressing issues such as: the early Spanish period at Seville la Nueva; the development of the first major British settlement at Port Royal; the complexities of the sugar and coffee plantation system, and the conditions prior to, and following, the abolition of slavery in Jamaica. The everyday life of African Jamaican people is examined by focusing on the development of Jamaica's internal marketing system, consumer behavior among enslaved people, iron-working and ceramic-making traditions, and the development of a sovereign Maroon society at Nanny Town. Out of Many, One People paints a complex and fascinating picture of life in colonial Jamaica, and demonstrates how archaeology has contributed to heritage preservation on the island. In 2010, Philip Marsden, whom Giles Foden has called “one of our most thoughtful travel writers,” moved with his family to a rundown farmhouse in the countryside in Cornwall. From the moment he arrived, Marsden found himself fascinated by the landscape around him, and, in particular, by the traces of human history—and of the human relationship to the land—that could be seen all around him. Wanting to experience the idea more fully, he set out to walk across Cornwall, to the evocatively named Land’s End. Rising Ground is a record of that journey, but it is also so much more: a beautifully written meditation on place, nature, and human life that encompasses history, archaeology, geography, and the love of place that suffuses us when we finally find home. Firmly in a storied tradition of English nature writing that stretches from Gilbert White to Helen MacDonald, Rising Ground reveals the ways that places and peoples have interacted over time, from standing stones to footpaths, ancient habitations to modern highways. What does it mean to truly live in a place, and what does it take to understand, and honor, those who lived and died there long before we arrived? 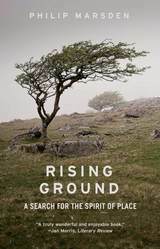 Like the best travel and nature writing, Rising Ground is written with the pace of a contemplative walk, and is rich with insight and a powerful sense of the long skein of years that links us to our ancestors. Marsden’s close, loving look at the small patch of earth around him is sure to help you see your own place—and your own home—anew. 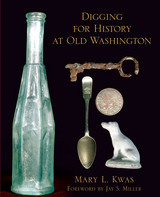 Drawing on county records, newspaper microfilm, personal interviews, and on-site investigation, Hall provides the reader with a history of 175 significant sites, rendering a treasury of interesting facts on every page. 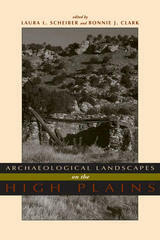 This book blends history and old photographs with an update on the present condition of each ghost town or landmark. The sites and towns are arranged alphabetically, county by county, for quick reference. 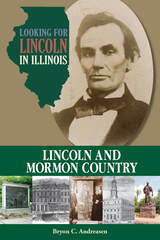 When Abraham Lincoln moved to Illinois’ Sangamo Country in 1831, he found a pioneer community transforming from a cluster of log houses along an ancient trail to a community of new towns and state roads. But two of the towns vanished in a matter of years, and many of the activities and lifestyles that shaped them were almost entirely forgotten. In The Sangamo Frontier, archaeologist Robert Mazrim unearths the buried history of this early American community, breathing new life into a region that still rests in Lincoln’s shadow. Named after a shallow river that cuts through the prairies of central Illinois, the Sangamo Country—an area that now encompasses the capital city of Springfield and present-day Sangamon County—was first colonized after the War of 1812. For the past fifteen years, Mazrim has conducted dozens of excavations there, digging up pieces of pioneer life, from hand-forged iron and locally made crockery to pewter spoons and Staffordshire teacups. And here, in beautifully illustrated stories of each dig, he shows how each of these small artifacts can teach us something about the lifestyles of people who lived on the frontier nearly two hundred years ago. Allowing us to see past the changed modern landscape and the clichés of pioneer history, Mazrim deftly uses his findings to portray the homes, farms, taverns, and pottery shops where Lincoln’s neighbors once lived and worked. Drawing readers into the thrill of discovery, The Sangamo Frontier inaugurates a new kind of archaeological history that both enhances and challenges our written history. It imbues today’s landscape with an authentic ghostliness that will reawaken the curiosity of anyone interested in the forgotten people and places that helped shape our nation. Since the 1700s, various ethnic and immigrant groups have been shifting and negotiating their place in New York City. Hope Cooke also struggled to find a "correlation of space" and "sense of belonging" when she returned to the city after spending her adult life living in a place in the Himalayas, the Queen of Sikkim (a tiny kingdom near Nepal). Abroad for so long, she returned with an urgent need to rediscover this city, to "find her way home." It was not always a comfortable journey for Cooke: "On the days I felt secure, Manhattan's maelstrom was pure energy. On shaky days, the boundlessness made me yearn for limits, or, failing that, at least a vantage point." The book that has emerged is an entertaining and integrated account of New York City's social history, architecture, physical space, and culture. Starting with the American Indian settlements and the early days when the southern-most tip of Manhattan held little more than a bleak outpost of Dutch fur traders, Cooke tracks the economic development and journeys north, from the Village's beginnings as a refuge from dreaded summer fevers to the present day Dominican enclave of Washington Heights. Written for armchair enthusiasts and walkabout adventurers, this book travels fourteen of the city's distinct and significant neighborhoods. Cooke's guide will make a historical sleuth out of local residents and tourists alike. Her off-the-beaten-path insights and witty observations help decode the urban landscape and reveal how social changes have reworked the city's terrain. 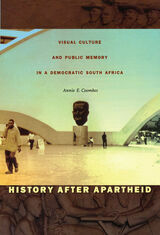 Enhancing the narrative are 140 illustrations, including old engravings, maps, and current photographs. 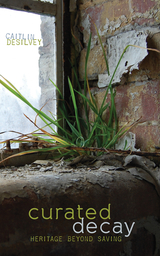 In the series Critical Perspectives on the Past, edited by Susan Porter Benson, Stephen Brier, and Roy Rosenzweig. At an ecopark in Mexico, tourists pretend to be illegal migrants, braving inhospitable terrain and the U.S. Border Patrol as they attempt to cross the border. At a living history museum in Indiana, daytime visitors return after dark to play fugitive slaves on the Underground Railroad. In the Mojave Desert, the U.S. Army simulates entire provinces of Iraq and Afghanistan, complete with bustling villages, insurgents, and Arabic-speaking townspeople, to train soldiers for deployment to the Middle East. At a nursing home, trainees put on fogged glasses and earplugs, thick bands around their finger joints, and sandbag harnesses to simulate the effects of aging and to gain empathy for their patients. 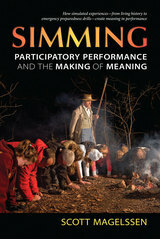 These immersive environments in which spectator-participants engage in simulations of various kinds—or “simming”—are the subject of Scott Magelssen’s book. 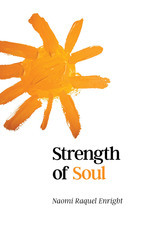 His book lays out the ways in which simming can provide efficacy and promote social change through affective, embodied testimony. 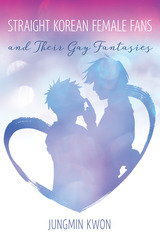 Using methodology from theater history and performance studies (particularly as these fields intersect with cultural studies, communication, history, popular culture, and American studies), Magelssen explores the ways these representational practices produce, reify, or contest cultural and societal perceptions of identity. Historic house museums—one of the most prevalent types of history museums in the country—have long depicted the owners of the house and their families, but representing the servants has introduced a unique set of challenges. While museum professionals have increasingly incorporated women, immigrants, African Americans, and other minorities into portrayals of the past, these portrayals often show an idealistic world without class antagonisms or ethnic conflict. Exploring the domestic conflicts that may have existed between mistress and servant often creates a more vivid and believable experience for guests. Through her examination of the pitfalls of interpretation, Pustz offers advice for museum professionals on programming accurate and compelling depictions of those who lived their lives in the back stairs and kitchen rather than in the parlor. 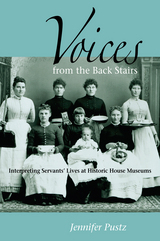 Based on extensive surveys of historians at historic house museums, this informative study presents examples of successful interpretation programs, including those that have made the kitchen and servants’ quarters the most popular stops on the tour. Pustz encourages museum curators to look beyond the archives of their own institution and explore other era-appropriate sources, including advertising and housekeeping guides, when trying to create a complete picture of the house’s servants, who often left behind few records. The exodus of the Mormon people from Illinois across the Great Plains to the Salt Lake Valley was the most monumental movement of a people in the settlement of the American West. In 1846, the first pioneers, led by Brigham Young, crossed Iowa, and this proved to be the most difficult part of their journey. The weather, the terrain and emigrants' lack of experience and preparation tested their faith and strength, but their single-minded desire to reach a safe home in the West forged them into a strong people.